Security is an issue for any business, especially if they are smaller in nature. No one can afford to suffer through the amount of loss that a burglary or vandal could bring around. If you are a small business owner, you need to make sure you have ample protection for all of your assets. This is where a business security system comes into play for your company. What is the purpose of investing in one of the business security systems? A good quality security system is going to allow the business owner to see a dramatic decrease in their financial risk. They are placed throughout the property to help provide a tracking system for any crime or theft that has taken place. At the same time, business owners will also have the capability of monitoring their merchandise and making sure the levels are accurate along with how well their employees are performing on a continual basis. Can security cameras help eliminate any robberies or theft? 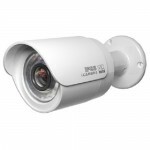 There are numerous types of security cameras that are available on the market today. You can choose to purchase a wireless camera or one that is wired into your business. As a smart business owner, you have the option of choosing a camera that is going to meet the needs of your individual business the most. Make sure you choose one that is going to be able to handle all of your business requirements. If you are someone who owns a larger retail establishment, you are going to want to make sure you invest your money into something larger scale. You will be able to deter any potential thieves a lot easier with a security system in place. 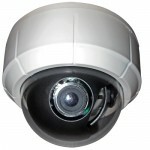 Often times, business owners will use the larger cameras as a way to frighten people away and it has worked for years. No one is going to try and steal something if they can see the camera right there looking at them in the store. On the other hand, if you only have a small office space that you are working with, you might want to implore one of the smaller units to help monitor the area for you. Small cameras are much like the size of a traditional clock. You will be able to place them inside of a planter or alongside a photograph. Anytime you own something as large as a warehouse, you will want to invest in a camera that has night vision technology built into it to make sure you stock is monitored throughout the evening hours. How do you make proper use of your security camera? In order to have the right type of security system for your business, a lot of business owners will enlist a professional security company to go to work for them. These companies hold the primary responsibility of being able to provide their own security services. They come in and handle setting up all of your security equipment. You are able to sit back and watch everything going on through the security monitors, so you will never have to wonder about the safety of your business again. Digital video recorders provide you with a means for being able to record everything that is going on around the property. Even if you are not at the workplace, your security cameras will allow you view the footage from wherever you are as long as you have access to the Internet. Small business owners need to invest in a security camera. The camera is utilized for capturing pictures and footage over the course of time. Whenever there is a burglary that occurs, you will be able to take the pictures your camera captured and help minimize your losses with the insurance company. Why Invest in a Business Security Camera? If you are a small business owner who has been putting off purchasing a security camera, you are not only putting your business at risk but you are potentially putting all of your money on the line. Think about all of the money that might be lost as a result of fraud and employees who are not doing their job. A lot of people assume that they can trust their employees and they will never have to worry about anything happening to them, but do you know how many people have gotten burned from that way of thinking? Are you under the assumption that it costs a small fortune to be able to secure your business? That is the farthest thing from the truth because security systems are more affordable than ever before. Business security cameras have made rapid improvements along with their technology. They are now smaller and a lot less obvious, not to mention a heck of a lot cheaper. One of the most commonly used cameras is the wireless security systems. Think about all of the options there are to choose from on the market and you are sure to find something that is going to work for all of your security needs. Who Needs a Security Camera? One of the most obvious reasons for purchasing a security camera is the fact that you will be deterring intruders from attempting to break into your business. If that ends up unsuccessful, you will have the video footage on tape to help capture the criminal and turn it into the proper authorities for easy identification. However, there are other reasons that are becoming a lot more obvious in today’s day and age, such as fraud and drug related activity. Fraud has become an increasingly large amount of businesses landscaping and ended up costing them a lot more money than what one might imagine. Drug related crimes are being recognized for the problem that they are across the world. Self-employed business owners will find a lot of use when it comes to a security camera. Running a repair shop or something that operates solely on the back part of your business can often leave the front wide open for anyone to come on in and see what they like. However, when you have a security system monitoring all of the activities around the shop you will be taken care of, regardless of where you are located. You can set the cameras up to provide ample coverage of any hallways or back entryways into your property. Ensuring everything is properly covered will help protect all of your assets and provide you with the peace of mind you need. Most of the time, you will be able to pick up a security system for a fraction of the cost. A lot of people assume that they will need to spend thousands of dollars on a security system, but that is nowhere near the truth. Does it really matter how much you have to spend out of pocket? In the end, one burglary or case of theft could wind up costing you a lot more than what the security system is going to run you. It is your business that is at risk and you need to do everything you can to make sure it is protected at all costs. In today’s day and age, more and more businesses are realizing the importance of security systems around their establishment. If you are looking to provide security protection around the clock, you will need to make sure you purchase a good business camera for your corporation. Are you new to all of the technology on the market today? There are a few things that you need to consider before you make your security camera purchase. What is your purpose behind getting a security camera? Before you go out and purchase a security camera, you need to take the time and ask yourself why it is that you need one of these cameras. Generally, security cameras are meant to give you an increased level of security when it comes to your business assets. You will be able to protect your employees, cash, stock and all of the other assets you have inside of your location. If your office is located in a part of the business that might be considered a hot spot for shoplifters, you are going to want to make sure you have a security camera in place. This will prove to be an invaluable asset when it comes to preventing any criminal activity. Are you someone who tends to have a lot of cash in the register at any given point in time? Anytime you are dealing with a lot of cash regularly you are going to want to implement a security camera pointed at the register to monitor all of the transactions. What choice options do you have? There are numerous options that are available for you to choose from when it comes to purchasing a security camera for your business. They come in a variety of different sizes and shapes. Generally, people who are looking to hide the cameras into various locations will need to purchase some of the tiny cameras out there. You can place them inside of a photo frame or alarm clock to make sure they are hidden and out of plain sight. However, if you are looking to monitor a large area with ease, you might want to invest in one of the wide-angle cameras. 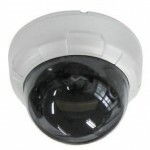 Although the wireless cameras are a lot more convenient than their counterparts, a lot of people are not fond of them. Wired cameras are able to produce a clearer image without all of the interference that a wireless camera will encounter. Keep in mind that all of the pictures that are produced by your camera will be used as evidence in the event of a burglary or an insurance claim. Police are able to investigate the claim a lot easier when they have solid pictures to go off of. What does your investment run out of pocket? During the slow economy, many corporations are looking for a way to help cut back on their operating costs. Many of the business owners are not sure whether it is worth their money to invest in a security camera or not. They are wondering about whether or not the equipment will pose a potential burden on their business finances. This is the farthest thing that should be in your mind. In actuality, the camera will help to reduce any financial risks that may be out there for your business. It is a great way to help guard your business against any potential theft and vandalism. You don’t need to spend a fortune on a security system. Most of the time you can find a model that is extremely reasonable. Plan on spending anywhere from $500 or less when it comes to getting something worthwhile in a security system. Don’t you think the $500 investment is worth it in the long run? Think about how much you are going to save when it comes to a potential robbery. If you are unsure which type of camera is going to work the best for your company, there is no need to worry because there are plenty of professionals that are ready to help you in any way possible. You can always contact a professional when it comes to installing the camera and helping decide which ones are going to work the best for your needs.any potential theft and vandalism. You don’t need to spend a fortune on a security system. Most of the time you can find a model that is extremely reasonable. Plan on spending anywhere from $500 or less when it comes to getting something worthwhile in a security system. Don’t you think the $500 investment is worth it in the long run? Think about how much you are going to save when it comes to a potential robbery.